When it comes to the workplace, collaborating in a team is the norm. Although extremely beneficial, it requires continuous back and forth dialogue which can sometimes get a little hectic and disorganized when having to communicate through multiple online platforms. We’re all about efficiency and productivity here at ABCey, so today we’re highlighting Slack, a messenger app that is sure to improve your team communication, making it more simple and more efficient. Team Conversations are organized into Channels. You can create different channels for specific departments, groups or conversations. Public channels are open for all members of the team, allowing them to pop in at any time and join the conversation. Private channels are for confidential projects that can be viewed by invitation only. Need to communicate to someone directly? Use the direct message function to send private and secure messages. Working on an event proposal or drafting a contract? Documents, images, pdfs, spreadsheets can be uploaded into a particular channel and team members can view the document and make comments on it. Need to access your twitter feed? You can streamline the tools and systems you already use by plugging app notifications into particular channels. Everything in Slack is archived. You can search for specific conversations or even content within a particular document that was shared on a channel. Sync the desktop app with your mobile phone and you’ll always be connected to the conversation. Slack is the perfect platform to organize your team communication and increase daily productivity. Planning on using this amazing app for your team? Let us know on Facebook or Twitter! With the weekend just around the corner, I hope you decide to trade in your business suit for some jeans and shades! The Bay area has been warming up, and it’s the perfect weather to open up the windows and take a walk around the park. For this week’s weekend lineup ABCey wanted to take advantage of the forecast and give you some great outdoor events to choose from! If you’re looking to travel the globe without the baggage fees, step out to Pacific Heights Friday night and experience a taste of Russia! The festival will host an array of events that are triggered to entice all senses. So if you’re looking to indulge your tastebuds with some authentic Russian food or admire the art of traditional dance, this event is the place to be! One of the most debated candidates for this year’s election has been nominated as the guest of honor for this month’s comedy roast hosted by RoastSF! Mr. Trump will not be in attendance for this event, however, his impersonator is KNOWN for his class act impression, and will be severely roasted by 8 improv comics. Regardless if you love him or you hate him, it’s no question that you won’t have a hurt stomach from laughing at this event! Want to make a difference in your community? Homelessness in The Bay area has been the topic of discussion, especially with the growing tents that are vacating the streets. This Saturday and Sunday, this pop up workshop is uniting people within the community to take a hands-on-approach by creating micro-homes for the homeless. Start off your Saturday the right way by giving back to those in need! For all of the bacon lovers (we know how many of you there are), this is an event you don’t want to miss! 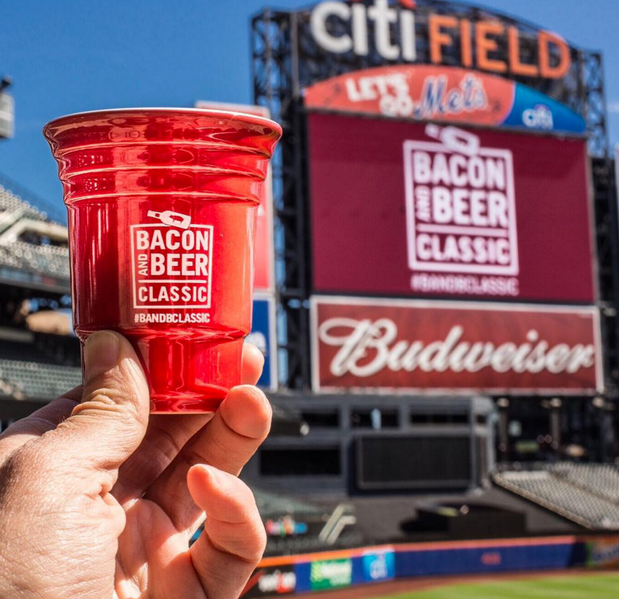 Enjoy the VIP treatment of walking the field while enjoying a brew and a slice of bacon. Guests will be able to indulge in 50+ bacon infused dishes and proceed to wash them down with a choice of 100+ craft beers and cider samples, all of which are from some of the best local vendors and breweries! Enjoy games, some fun in the sun, and if you’re feeling brave, sign up for the bacon eating contest, which is sure to leave you full for days! If you can’t make it out to New Orleans this year to celebrate Mardi Gras, the Treasure Island Flea has the solution! This Sunday, local street musicians and New Orleans menus will be fused together to make this event come to life. Choose to shop from the 400+ curated vendors while trying a 2-fo-1 TI Flea Hurricane Cocktail as you watch the city transform, this is a great way to kick back and relax before Monday! Are you planning to watch The Oscar’s Sunday night? If so, and you’re looking for a change of scenery, head down to the San Francisco Design Center for a great cause! Not only does this gala give you the opportunity to dress up as if you were at The Oscar’s, but 100% of the proceeds are directed towards HIV/AIDS services in the Bay area. Enjoy complimentary food, wine, and champagne, and if you’re feeling up to it keep partying at the after party at SF Oasis! What event(s) are you placing on your calendar for this upcoming weekend? Let us know in the comments below or on Facebook and Twitter! What’s the best part of waking up? Why, it’s coffee of course! Nothing gets the day started quite like a piping hot cup o’ joe and for the busy professional, caffeine first thing in the morning is necessary for a productive day. For the coffee junkies out there, your mornings are going to get even better in the near future with Spinn Coffee, a WIFI connected coffee brewing machine. Spinn uses centrifugal force to brew its coffee with beans only. No cups, pods or filters means zero environmental waste. Prefer drip, french press or espresso? Spinn can do it all. Connect your SpinnBrew to your WIFI network. Once connected, you can customize how you prefer your coffee to be brewed. Brew coffee right from your phone. Spinn uses only quality coffees from local and international roasters. Get connected to these community roasters through the app where you can browse, shop and review their coffees. You can add your fave coffee beans to your Beanlist that acts as your coffee playlist. When your faves get low in stock, they’ll be automatically re-ordered and delivered right to your door. It gets even better than that. Want to wake up to the sweet aroma of freshly brewed coffee? Set Spinn to start making a brew while you’re still in bed and your coffee will literally make itself. Why we love it. Spinn is the reinvention of coffee for the modern, technology-driven world; it’s a smarter way to drink coffee. It takes care of you by doing the coffee making for you and takes care of our planet by creating a more sustainable way to enjoy your favorite morning pick-me-up. Need Spinn Coffee in your life? You can pre-order now! Be sure to let us know how much you love your java on Facebook and Twitter! The work week is finally over and the weekend is here once again! Hooray! And because the Bay Area winter season has been exceptionally pleasant, there’s a myriad of outdoor events to take advantage of this weekend. ABCey is back with our top 5 fave events to help you toast to the weekend (because every weekend is a celebration). If you’re a wildlife enthusiast, this is the perfect weekend for you. The Flyway Festival is an exciting event full of guided hikes, tours and workshops celebrating the migration of more than 1 million shorebirds through the San Francisco Bay. They will be serving hot soup and rolls, junk food (Yes! ), and coffee. Check out this PDF for the full schedule of events. It’s a bird! It’s a plane! No, it’s the San Jose Bike Party! Grab your bikes, capes and super-powers because this is going to be one hero-tastic night. Ride Superhero-style in your favorite costume down the streets of San Jose. The Start/Finish meeting location is the Children’s Discovery Museum parking lot. For more info, check out their website. This Saturday and Sunday, explore the unique San Francisco neighborhood that is Chinatown. Held the same weekend as the Chinese New Year Parade, the Chinatown Community Street Fair is a great opportunity to immerse yourself in the Chinese culture. This jam-packed event will have lantern and kite making, calligraphy, fine art demonstrations, folk dance and puppet shows. With traditional and modern entertainment, this is one festival you and your family do not want to miss. Check out the full offerings here. Rock out on a Saturday night to the sounds of Bon Jovi, Cheap Trick and more with some of the Bay Area’s best tribute bands. Not only will you be able to hear some great music but you’ll also be able to contribute to a great cause. The money from each ticket will go to Wonder Dog Rescue Group, a charity that saves hundreds of dogs each year from getting euthanized. Check out their website for more details. Spring is almost here! To celebrate its impending arrival, head down to the San Francisco tourists’ paradise, Pier 39, for the final day of Tulipmania. Soak in the sights and vibrant colors of more than 39,000 tulips and seasonal garden florals. Embark on either a self-guided or guided tour to learn helpful gardening tips and to just enjoy the beautiful flowers. The free guided tours depart at 10am from the Pier 39 entrance and you’ll also receive a complimentary snack from Trish’s Mini Donuts, some of the best donuts in town. Click here for more info. Planning on heading to any of these events this weekend? Let us know in the comments below or on Facebook and Twitter! 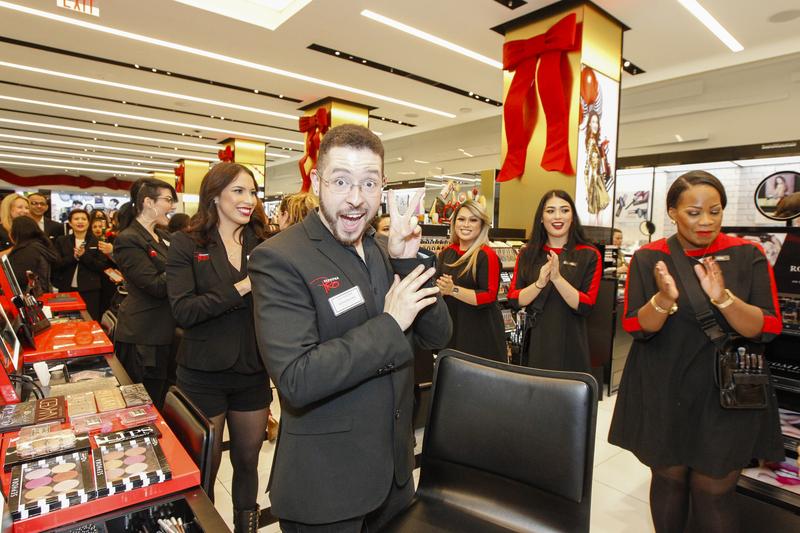 On November 19th, 2015 ABCey had to the pleasure of teaming with Sephora to create a fabulous holiday event honoring VIB Rouge clientele, giving them an exclusive look at the Sephora flagship store on Powell St. in San Francisco! 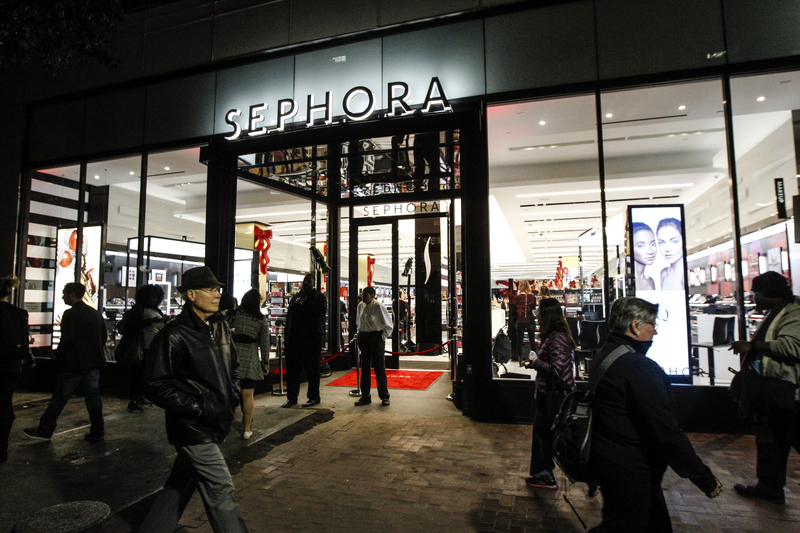 Sephora’s “store of the future” featured never before seen interactive screens that allowed guests to view tutorials and watch other beauty videos at the touch of a button. Additionally, the store was modernized and streamlined for ultimate easy navigation. 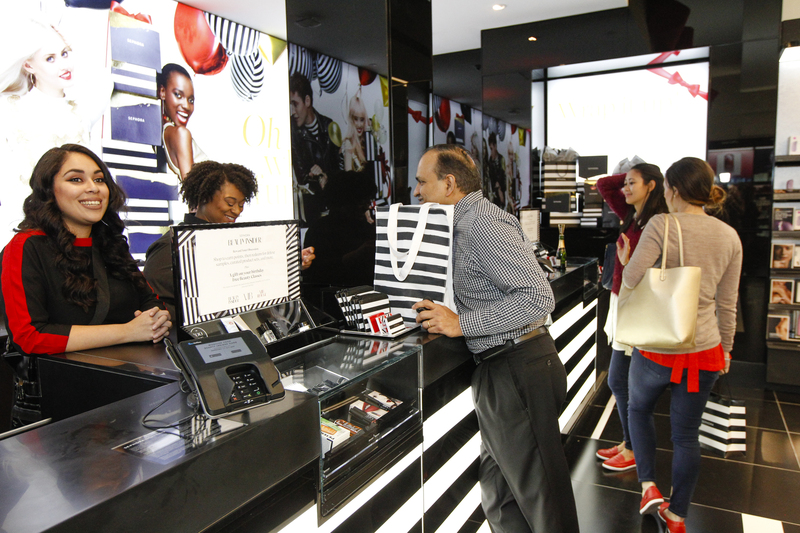 Features like a skincare station, multiple makeover stations, and interactive iPads are what make this Sephora unique. View the full gallery here! Top 10 of the highlights from the exclusive event! The event’s aesthetic was very clean and modern with a touch of the classic holiday colors. The palette was black, white, gold, and hints of red. These colors were incorporated into all the event decor, most noticeably in the frames of the store which were outlined with sleek gold and adorned with giant red bows. Sharing the fun via social media was a breeze with the interactive ‘gif’ booth by Bosco that allowed for instant sharing. They created a custom branded booth, and guests received a live action ‘gif’ so they’ll never forget this amazing event! The custom beauty props added to the photo booth fun with items like sparkly red lips, hair styling tools, and lipstick. We all know fashion and beauty go hand in hand, so notable fashion illustrator Jane Kirby (aka Jane Paints Beauty) on Instagram joined us to paint custom live portraits of VIB Rouge guests. These took her about 5 mins and each guest received a fabulous keepsake. How’s that for fast fashion?! Adding to the holiday wonderland feel, artist Audette Sophia of Catalyst Arts offered hand stenciled airbrushing for guests. Her stencils included tiny snowflakes, geometric shapes, and feathery lines to add to the already amazing Sephora makeovers. The essence of the event was captured with two live models (painted by Audette) who showcased the classic Sephora rugby stripe with a little gold holiday sparkle and a big red bow. The models walked around the event taking pictures and spreading excitement for the holidays. “Black Diamond” Chocolate Germain-Robin Cupcakes, “Golden” 14k Gold and Hazelnut Macaroons, and Champagne White Chocolate and Red Wine Velvet Cakepops were on display…oh my! To commemorate the new store, we provided custom holiday themed desserts from one of our amazing partners, Grace Street Catering. Along with these decadent treats, servers passed henna painted truffles and truffled popcorn for guests to enjoy while doing some serious shopping! To give guests something to sip on during the event the cutest ever Mini Moet champagne bottles were flowing, as well as Underwood Pinot Gris in cans (yes, cans of wine…but fancy ones)! 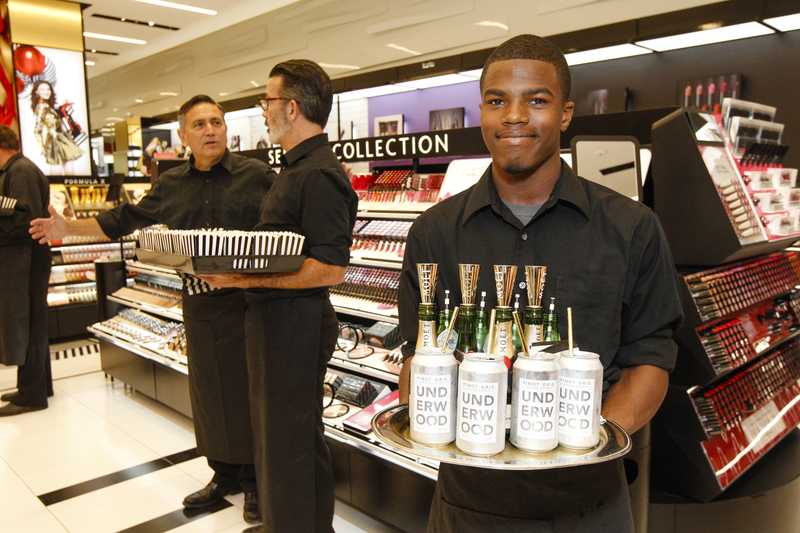 Guests could drink and be merry while enjoying all the shopping and fun activities the event had to offer. We’ll toast to that! 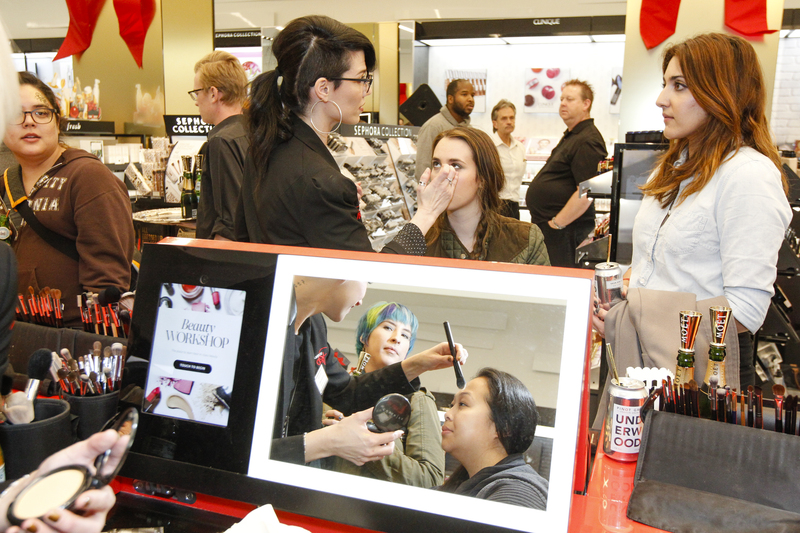 With over 50 Sephora team workers and pro makeup artists at the event, complimentary makeovers and consultations were provided for guests. From natural to smokey eyes, the pro team went to work on clients as they described their vision of the perfect holiday look! Looks like Christmas came early this year! Each VIB Rouge guest got to take home a little something special after the festivities. 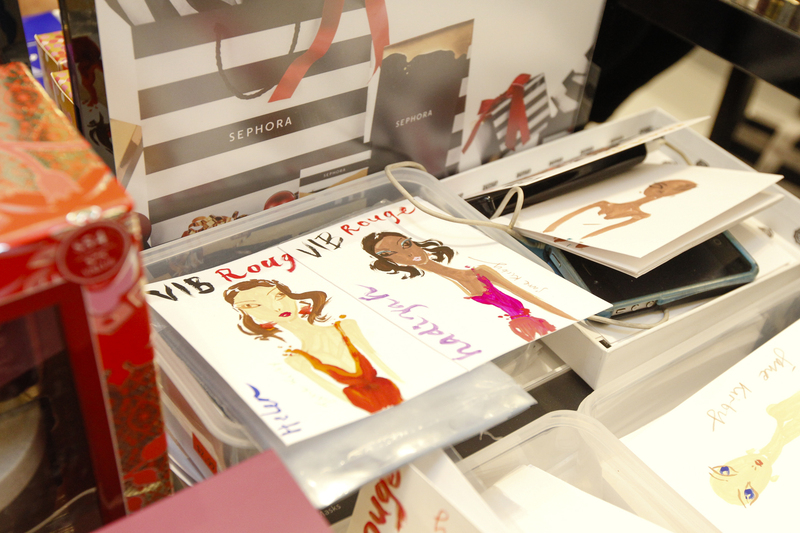 The custom tote featured Jane Kirby’s illustration and a multitude of Sephora goodies inside. Who needs to wait for black Friday? 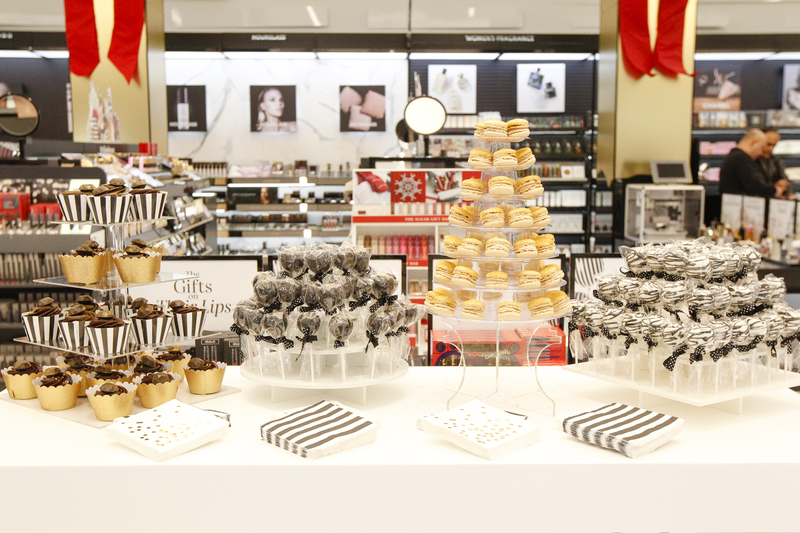 Exclusive products were showcased and made available for VIB Rouge guests to get first access to them in the store, allowing for guests to get their holiday shopping done early! This holiday launch party left VIB Rouge clientele beaming with holiday spirit (or maybe it’s just the highlighter)! We had such a fabulous time with Sephora, and are grateful to have co-produced such a fun event for the ultimate beauty mecca! 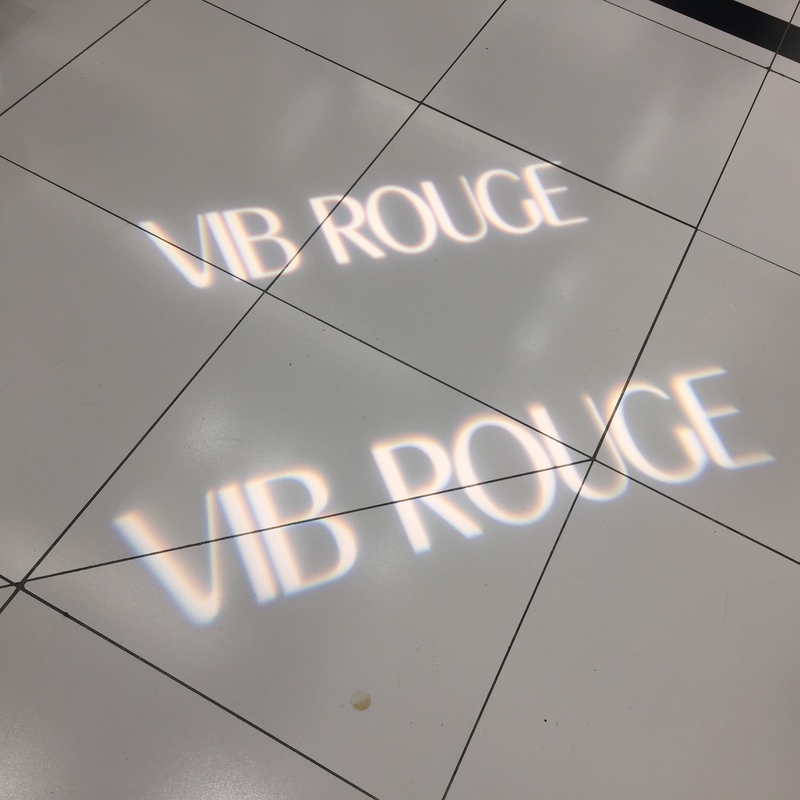 What did you think about the VIB Rouge Launch Party? Wishing you were VIB? Leave us a comment below or find us on facebook and twitter! TechTuesday: The 9th Annual Crunchies Awards! 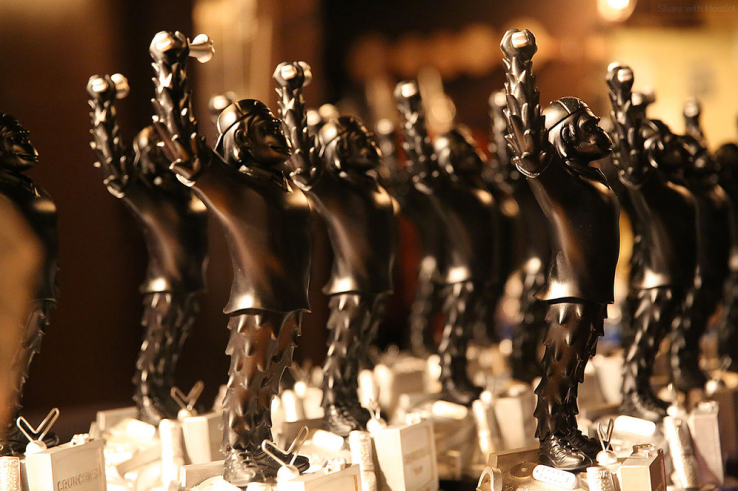 The 9th Annual Crunchies are here and just in time for #TechTuesday! For those of you that aren’t familiar, The Tech Crunchie Awards are the tech world’s equivalent to The Oscars. This award ceremony will take place this upcoming Monday, February 8th, 2016, and it will recognize the greatest technological innovations this past year has seen! ABCey has highlighted the top 5 best new tech startups for this weeks #TechTuesday! Congratulations to all of the nominees! 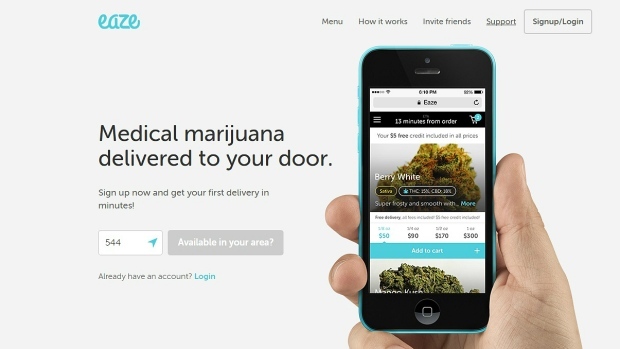 The Eaze app is a quick and professional medical marijuana delivery service that has partnered with legally permitted dispensaries to provide patients with lab tested medication that is delivered fast and efficiently. Medication ranges from flowers, edibles, concentrates, and more! WHY WE LOVE IT: Eaze utilizes it’s advanced technology to automatically assign drivers once the order is complete, so that your delivery is as sufficient as 10-20 minutes after purchase! Not to mention, their dispensaries are open earlier and later than most to provide their users with the most efficient convenience! 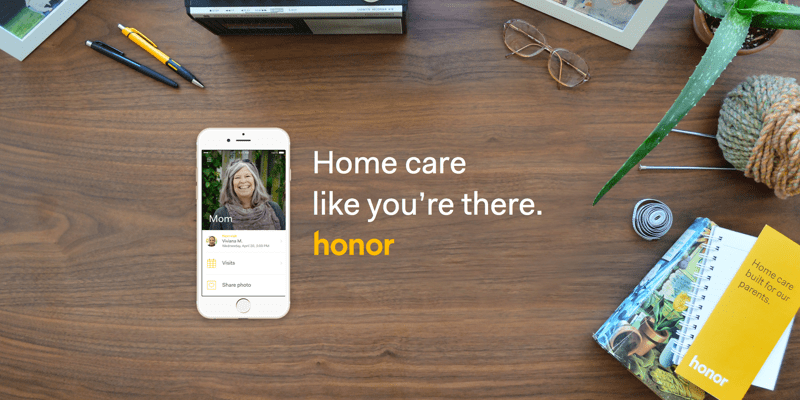 For your loved ones that need extra care, Honor is the app for you! This app is centered around family and comfort, and it supplies the best & most skilled caregivers to your family’s home, while giving you the convenience of scheduling and monitoring their care from virtually anywhere! Caregivers can assist with meal prep/groceries, transportation, check in visits, personal care/hygiene, and the list goes on! WHY WE LOVE IT: Not looking for a commitment? With Honor Care there are no long term contracts, and care can be scheduled by the hour, and paid by the hour! As well, this app does all of the work for you! The stress of screening and interviewing will be left in the hands of Honor for your convenience. Jet’s free membership does not come with a price, but more so with a savings! Literally, this app has created a marketplace that enables users to watch every dollar being spent, and provides smart choices and options to get the most for your money. Home goods, automative supplies, and even groceries- this app has made shopping simple and convenient! WHY WE LOVE IT: Who doesn’t love saving money while spending money? One of the many perks of shopping with this app is JetCash! 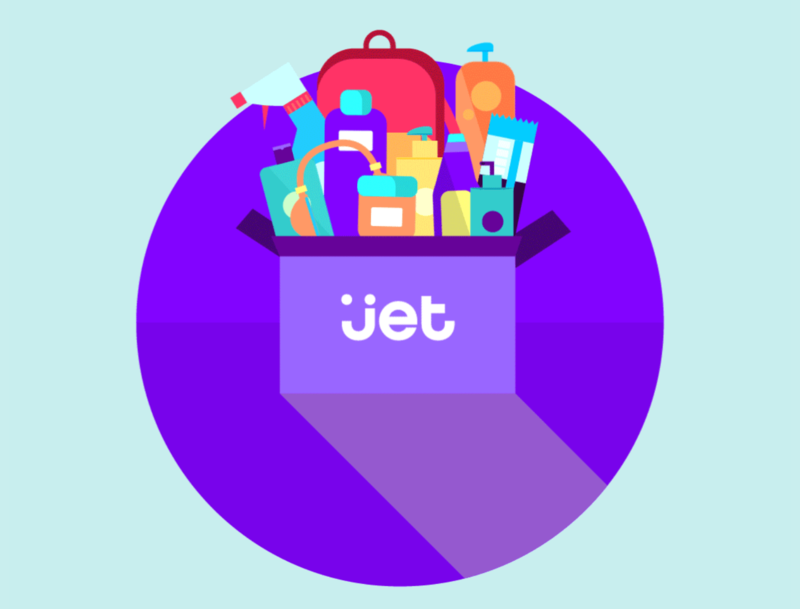 Jet customers that want to switch it up and shop from a different store just need to skim through the Jet Anywhere Retailers list and find the brand of their choice. The money spent at these websites will go towards your next JetCash purchase, all you need to do is forward your confirmation email of purchase to anywhere@jet.com! We’re past the days of dialing zero to get some assistance! This free messaging app is the equivalent of a personal shopper. Operator is available 24/7 and provides quick and helpful responses to meet users needs! For all of the men that are struggling to find their loved one something special for Valentine’s Day, look no further! Their staff will be glad to assist you and match you with the perfect gift! WHY WE LOVE IT: From your local store to an exotic country, regardless of the location delivery is made to be easy! With the in-app tracking, Operator’s systems monitor your order around the clock and provide estimated delivery times and shipping updates for your convenience! Commission fees can be aggravating especially when you’re already dabbling with the buying and selling of stocks! 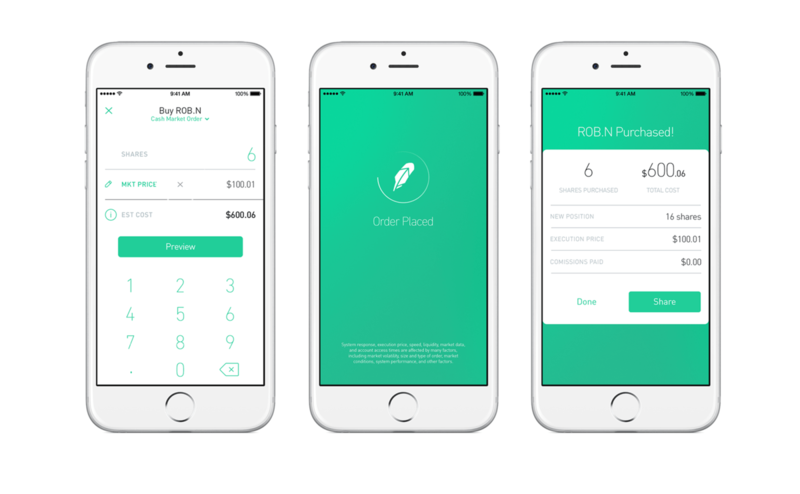 The Robinhood app recognized this and created a stock brokerage that offers commission free trading for all of its users! Sounds too good to be true? Robinhood has raised $66 million from several different outlets so that they can make their predominant focus on building lasting experiences for you versus the short-term profits! WHY WE LOVE IT: Robinhood’s Card feature provides guests with updates that cover basic account information, such as pending and completed transfers, but it also highlights movements within the stock industry! Top News Cards will deliver breaking news in regards to the financial market, while Top Mover Cards will showcase the biggest gains and/or losses on your watch list and in the S&P 500. This is definitely a tough race! Who do you think will be The Best New Startup of 2016 at this year’s Tech Crunchies? Let us know in the comments below or on Facebook and Twitter!